The Pool Table Lift from Great American is easy and convenient to use. Simply insert the metal handle into the base, slide the lift underneath the center of the pool table and push the lever down. It's made from heavy gauge steel, which means you can rely on its sturdiness and strength. Looking for a dolly to move our slate bottom pool table across our game room a couple times a year. Many other lifts state that they should not be used with a slate table. Will this work? Are the wheels sturdy enough to move across carpet? 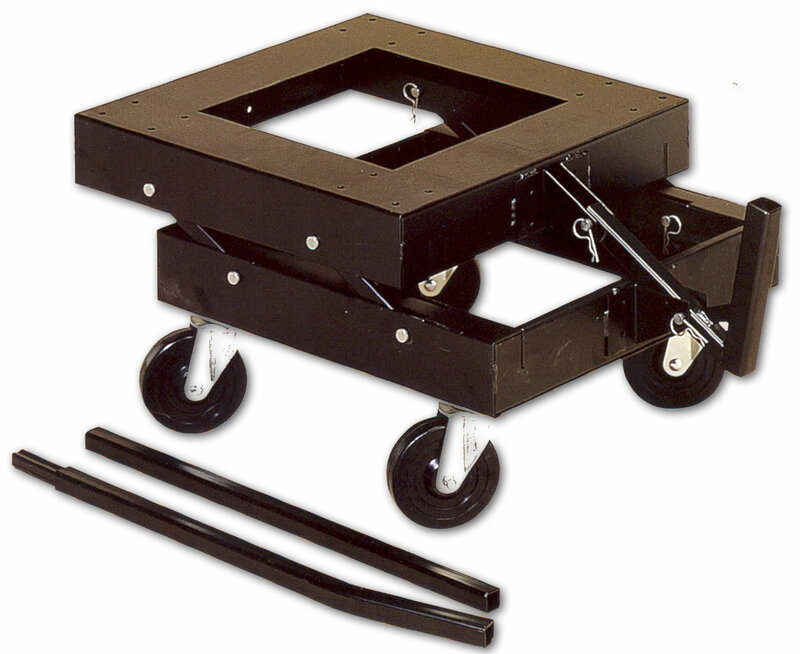 Yes, the wheels are heavy duty and should be able to roll across carpet but you can always lay down panels of plywood to make the rolling process easier. As for moving a slate table, a majority of pool tables are slate so just be as careful as possible when moving the pool table and you should be fine. Need to move my pool table a few feet. I have a 3 slate 7 foot table. Where do I put the lift so that I don\'t damage the table? Simply insert the metal handle into the base, slide the lift underneath the center of the pool table and push the lever down to lift the table. Once it is lifted you can move it a few feet to wherever you want.